Cal Murphy was born in Winnipeg and moved to Vancouver as a youngster. Murphy began his career at Vancouver College and continued playing football with CYO Juniors and the University of British Columbia (UBC), followed by a stint with the BC Lions. 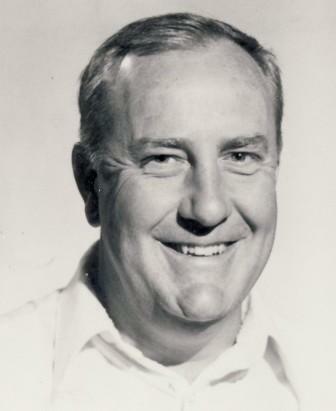 Murphy began his coaching career at Notre Dame high school in 1956. He then moved to Vancouver College in 1960 where his squad had the school’s only undefeated football season against top american high schools in the pacific northwest. After spending several years coaching at American universities, Murphy joined the CFL coaching ranks in 1974 as an assistant coach to Eagle Keys with the BC Lions. He became head coach of the team in 1975. He spent 1977 in Montreal with the Alouettes under Marv Levy and picked up his first Grey Cup win that season. In 1978, he moved to the Edmonton Eskimos with Hugh Campbell and was part of the Edmonton dynasty that won five consecutive Grey Cups. In 1983, Murphy went to the Winnipeg Blue Bombers. He spent 14 years as head coach and general manager. He was instrumental in bringing the Grey Cup game to Winnipeg in 1991. During his time in Winnipeg, the Blue Bombers appeared in five Grey Cup games and won three. Cal murphy is a member of the Vancouver College Hall of Fame and the Winnipeg Football Club Hall of Fame.